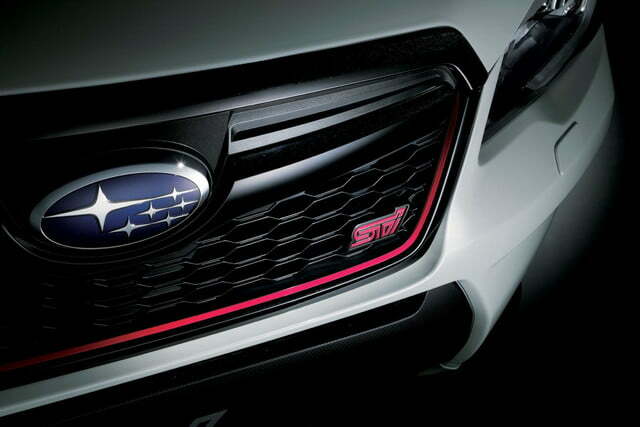 Subaru’s STI performance division has worked its magic on the Forester, but the blue-hued crossover you see here isn’t a full-fledged STI model like the Impreza-based rally machine we know and love. 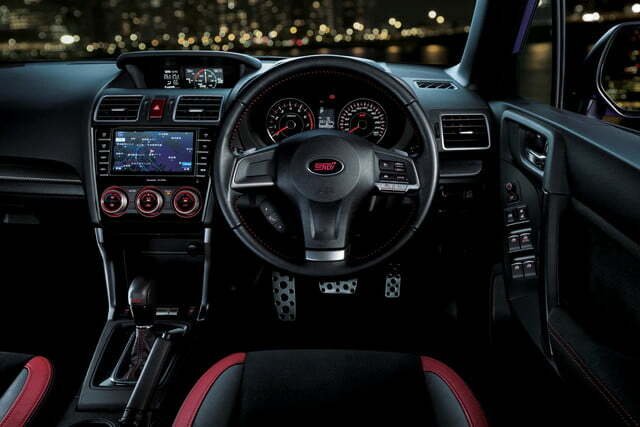 Instead of the Forester STI many fans were eloping for, what we have here is the Forester tS. For even more bad news, it will apparently be offered only in Japan. 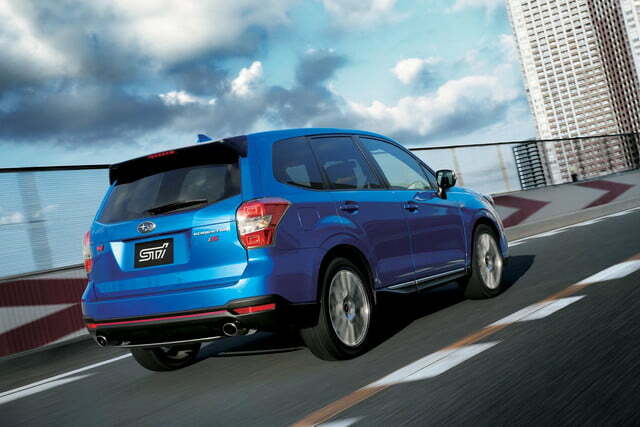 The “tS” moniker is short for “tuned by STI,” and signifies that this Forester was upgraded with mostly bolt-on parts. 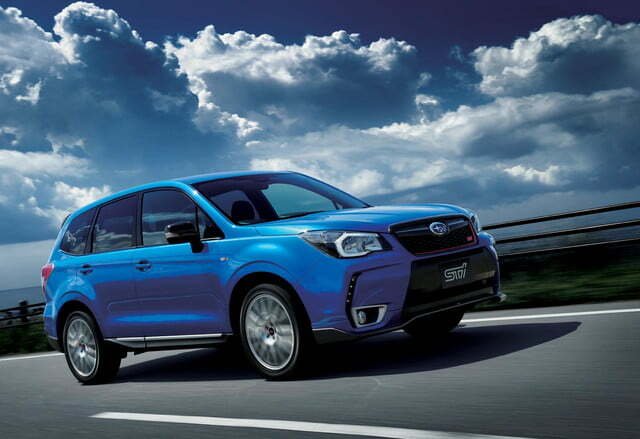 It’s similar to the Forester tS concept Subaru unveiled a couple of months ago. That means the production tS gets the same aggressive front fascia, 19-inch BBS wheels, roof spoiler, and Fast & Furious-worthy exhaust. There are some notable mechanical upgrades as well, including lowered suspension and 17-inch Brembo disc brakes. 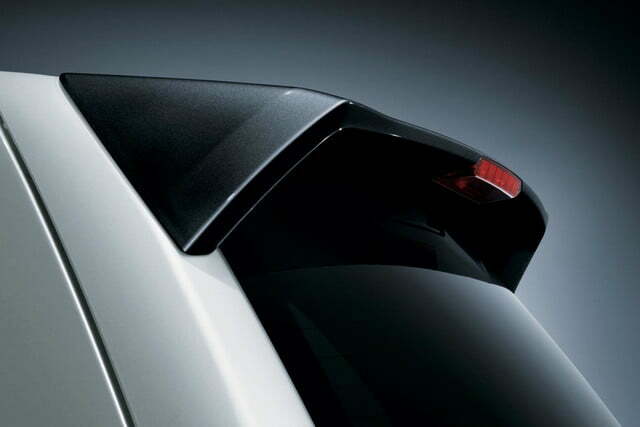 The Forester’s ECU and EyeSight safety system apparently had to be reprogrammed to accommodate these modifications. 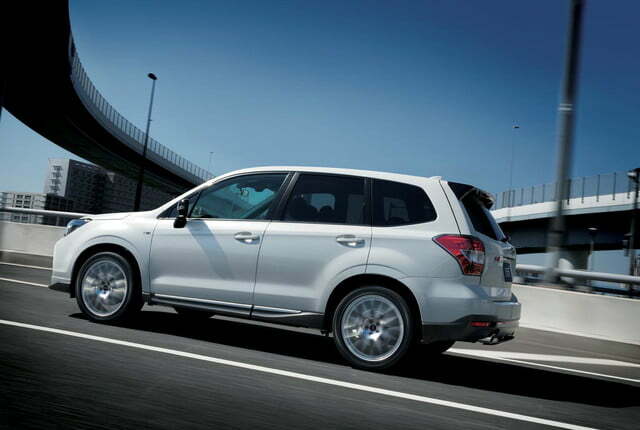 No changes were made to the 2.0-liter turbocharged boxer-four engine, so it likely produces the same 250 horsepower and 258 pound-feet of torque it would in a standard Forester 2.0XT. 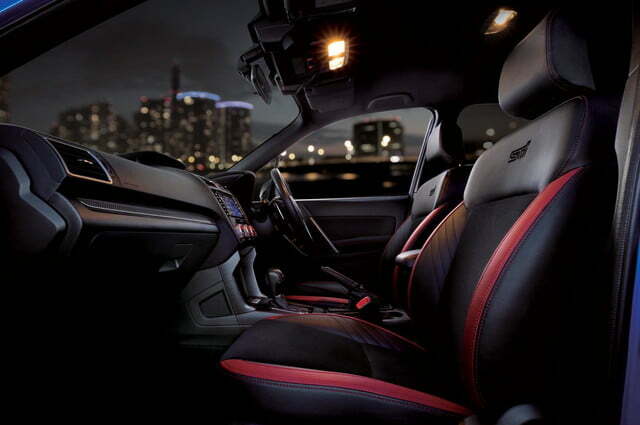 Drive is to all four wheels through a CVT automatic. 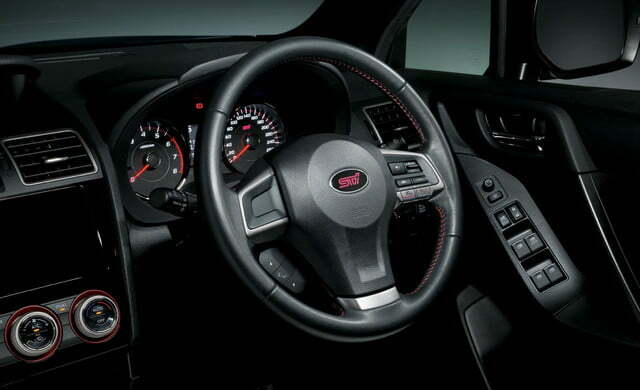 On the inside, the Forester tS certainly looks the part of a sporty sport-utility vehicle with sport seats, an STI steering wheel and shift knob, and plenty of STI logos. 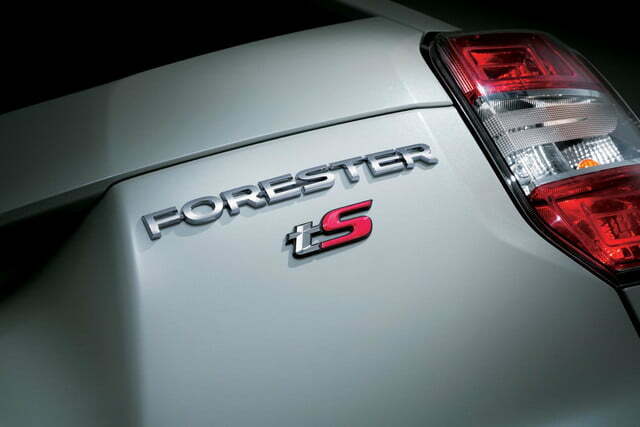 Japanese buyers can scoop up a Forester tS right now for 4,350,000 yen (about $36,850). 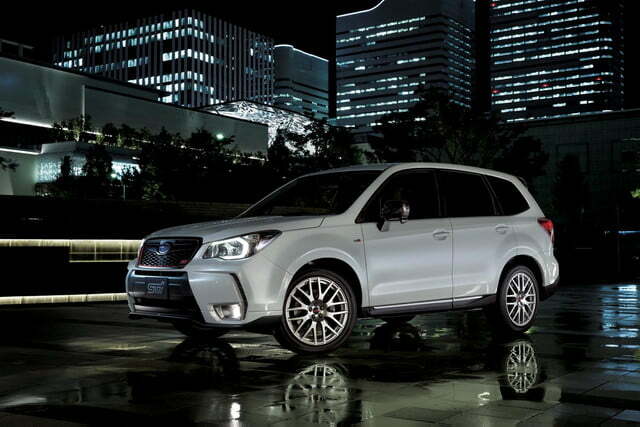 Only 300 examples of this tweaked Forester will be made.